The older my boys get, the harder they get to shop for. And that’s especially true for my almost-a-teenager, Zackary. He’s a mature boy for his age and finding a gift that he will enjoy but will also be useful for him is no easy task. That’s why I’m taking a leap this year and surprising him with his very first smartphone. It’s something I’ve been planning for after our recent move to our out-of-town acreage, so that I could get in touch with him in an emergency. And when I read about the Alcatel A50 smartphone, I knew I’d found the perfect tween gift. Running a website for a living means that my phone is almost always in my hands. From checking emails to posting updates on Facebook and Twitter, having my phone close by means that I’m always connected, even when I’m out of the house or away from my laptop. But I must admit that I’ve often wondered about the potential health risks of having my phone beside me so much. And with my oldest son quickly approaching the age of receiving his first phone, I also have his safety in my mind! Parenting in the digital age is pretty different than the unplugged days of yore in which I was raised. In some ways, it can be harder. As a child, my biggest worry was strangers inviting me to get into their cars…and of course, I’d been heavily instructed to run away and get help if that happened. Today, Internet access means I have to constantly be monitoring what websites my children visit, what shows they find on YouTube and (eventually) who they communicate with online. But digital parenting has some great advantages too! Staying connected to my kids is easier. Sharing special moments or getting advice from friends and family can be done in seconds on my smartphone. And family-friendly apps can help make parenting simpler and more affordable than ever before. Looking for apps to streamline your household? These three free apps are a must for busy families! With summer days quickly approaching, I’m already eagerly looking forward to all the fun outdoor activities in the future. From camping trips to days at the beach, there’s so much to love about summer! Of course part of the fun of any outdoor adventure is capturing the moment so that my boys and I can relive the experience over and over again. And for any family that loves getting active in the great outdoors, the DROID Turbo by Motorola in Gray Ballistic Nylon is sure to add extra fun to your adventures! 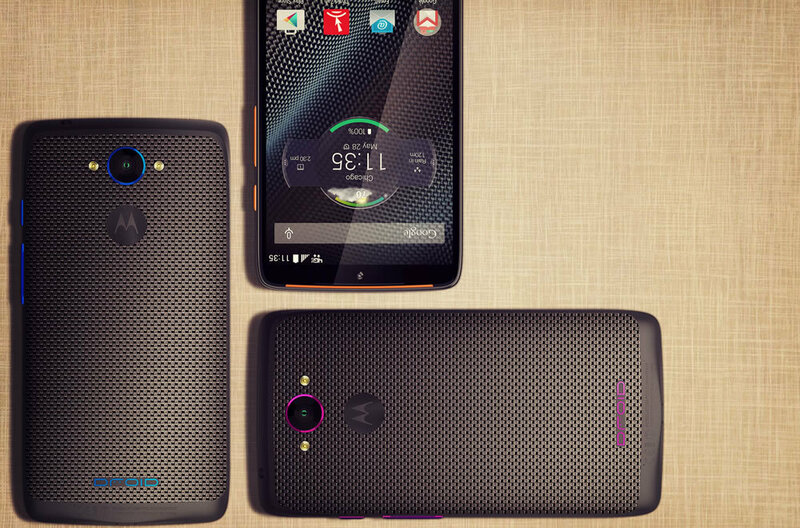 This smartphone from Motorola has everything a family could want for making the most of summer. The DROID Turbo boasts a stylish new gray colour with a choice of either metallic orange, metallic violet or metallic blue accents. The nylon backing provides great durability while still keeping the smartphone nice and light, while the water-repellant nano coating protects the phone from spills and splashes, making it perfect for the outdoors! Staying connected when I travel is something that’s important to me not just because of my business, but because it lets me share special moments with loved ones at home and also communicate easily with the other people I’m with. When I took my boys to Mexico recently, I shared my experience using Roam Mobility for talk, text and data while there. Using my Roam Mobility Travel SIM Card, I was able to choose the plan that worked best for me and continue to make phone calls and post updates even while in Cancun. Travelling is a passion of mine and has been ever since my mom took me to Finland and Cyprus when I was just eight years old. Since then I’ve made it a goal to see as much of the world as possible and while having children did keep me at home a little more for a while, my boys are now finally old enough that I can travel freely again…with Zackary and Benjamin right beside me of course! Travel has changed a lot since I was a child and one of the biggest changes is the need to stay connected while away from home. It goes without saying that my smartphone comes with me when I travel and there’s always plenty of work to catch up on when I eventually connect to a WiFi network. I remember travelling through South Africa in my twenties and buying a phone card with 100 minutes on it so that I could call home every few days from a pay phone. Smartphones have made that unnecessary, but paying for talk, text and data can add up quickly.